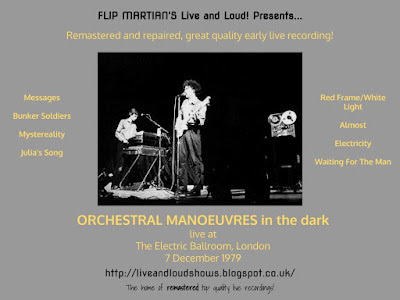 Its been a while since I did an OMD gig - but only because I hadn't found any recordings to do! 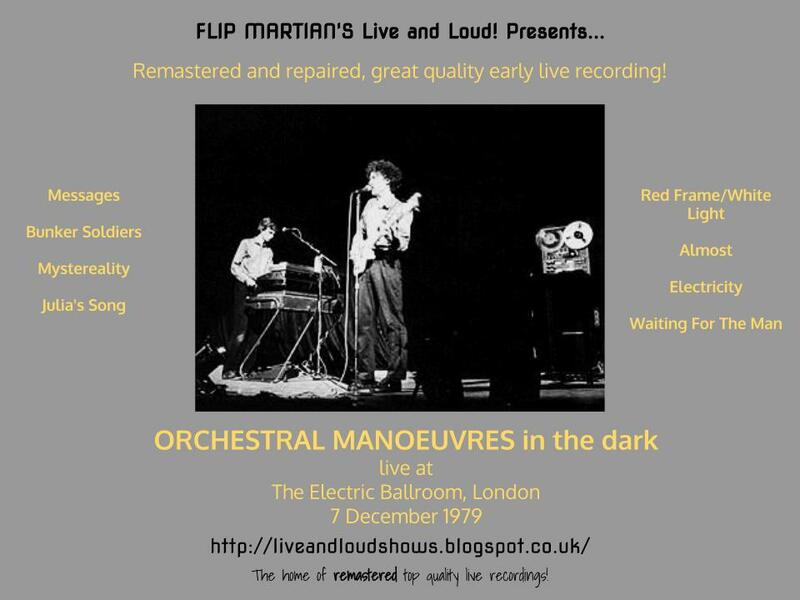 I had a donation of quite a large number of recordings of various bands recently and I was really pleased to find this one among them. The original recording is from the soundboard but had tape hiss and was quite tinny with virtually no bass - most of what you could hear was vocals and synths that were too bright. Gentle noise reduction and EQ helped with that. There were also a few defects that needed fixing which took a while, including correcting the pitch and repairing some dropouts. Considering the age of the recording and the bad mix on the night - Andy's voice is often far too loud - its very very listenable now; I hope you enjoy the result. At the start of Messages listen out for Andy imploring the sound engineer "can you turn the organ down?"! At the time of this recording, OMD were more well known as Orchestral Manoeuvres In The Dark and they'd already signed a major record deal with DinDisc, a subsidiary of Virgin records. A new version of Electricity had been released as a single to coincide with them coming to national attention as the support act on Gary Numan’s debut UK tour which ran through September and October 1979. 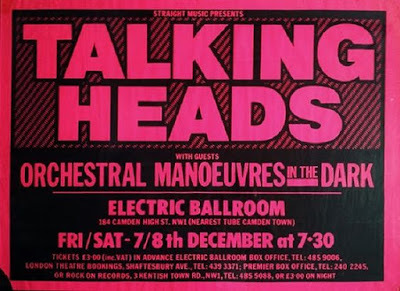 Their debut album was a couple of months away at the time of this gig - the first of 2 nights, supporting Talking Heads at The Electric Ballroom. This is a rare chance to enjoy a very early version of OMD, when they were a 3 piece consisting of Andy McCluskey, Paul Humphreys...and a TEAC reel to reel tape recorder called Winston. While preparing this older show as separate files for a donator to the site, I found I could now improve the sound quality further, over what I’d originally done to the recording several years ago. You can now download this new version (as of 2019) HERE as 1 new 320kbps MP3 file. Wow. 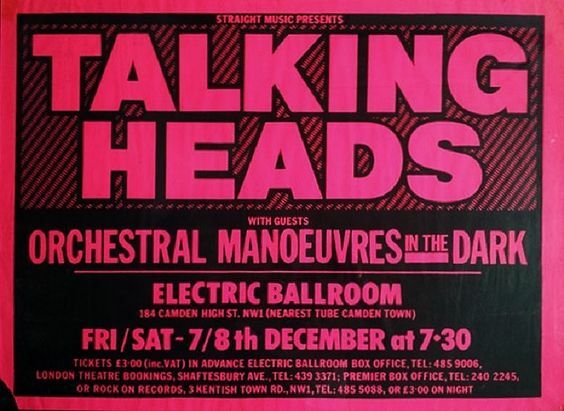 A new OMD gig (I don't think this has circulated previously) and from the early period. Thanks so much--looking forward to hearing this! What an incredible show - lovely job on the sound!